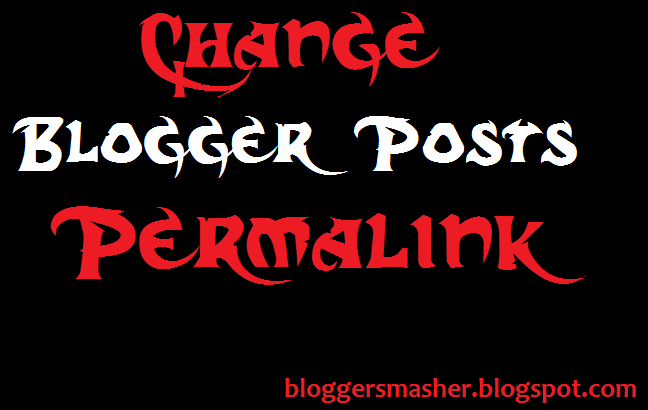 Hi guys, It's me again and today we will be discussing on changing the permalink of blogger. Blogger itself has different built in facilities. And Permalink is also one of the facilities of blogger. You will be imagining what is permalink. Don't worry, I will tell you. Permalink, a short name of permanent link is the URL Of different webpages and websites. In this tutorial, we will be changing permalink of blogger posts. We can change it with some easy and few steps. Nice Tricks, Liked It !